So began the first days of my sabbatical, for which I traveled in Southeast Asia for service, exploration, and art-making. Early on, I joked to my students and colleagues that I was taking a gap year, a semester abroad, or some version of the Eat, Pray, Love journey. 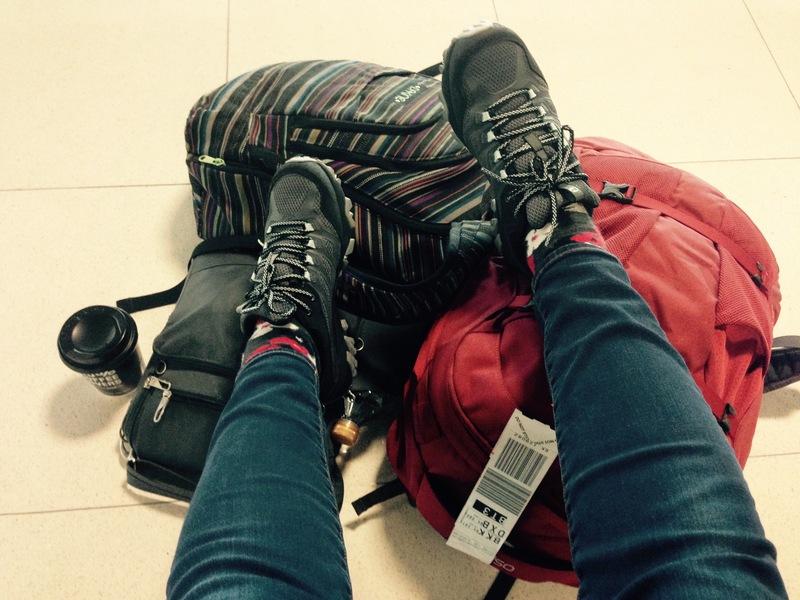 For two months, I lived out of a backpack, stayed in hostels or homestays, and sought out local restaurants, cheap digs, and real communities. I traveled to Thailand, where I worked with women and children in crisis outside of Chiang Mai, then on to the temples of Angkor Wat in Cambodia, and later explored the bustling cities and stunning beauty of both the landscape and the people of Vietnam. The trip was an adventure for me, and even though I consider myself a well-seasoned traveler, I knew that it would throw me out of my comfort zone and challenge me. Throughout my trip, I had my sketchbook by my side. I drew the ancient Bodhi trees in Chiang Mai, the temples of Angkor Wat in Cambodia, and the motorbikes of Hanoi. As I was drawing Ta Prohm, a beautiful temple nearly overtaken by lush trees and moss, a tourist questioned me about why I didn’t just take a picture of it. I answered truthfully that “this is how I notice and experience things. 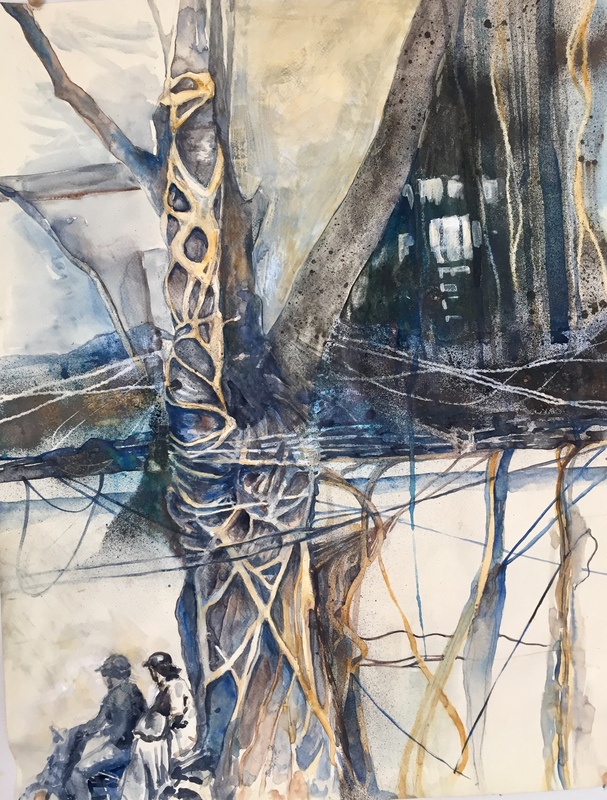 I will remember the heat, the smells, the beauty, and even the discomfort of sitting here on this hard rock when I look back at this drawing.” The sketchbook drawings from my trip became the springboard for the work that I have taken on since I have been home and in my studio in South Berwick. As an educator who has always balanced teaching with studio practice, this sabbatical has given me the rare gift of time to develop new work. The subject matter of my new paintings has pulled closer to home, and the vibe of the work is exploratory and a truthful expression of how I experience the world. Nearly two days after I took off from JFK on a cold evening in January that made me rethink my choice to travel light (with only a light down jacket that could roll up into the size of a softball), I landed in Thailand. I had specifically sought out a service opportunity that focused on women’s empowerment, and found the perfect project in the northern hills near Chiang Mai. 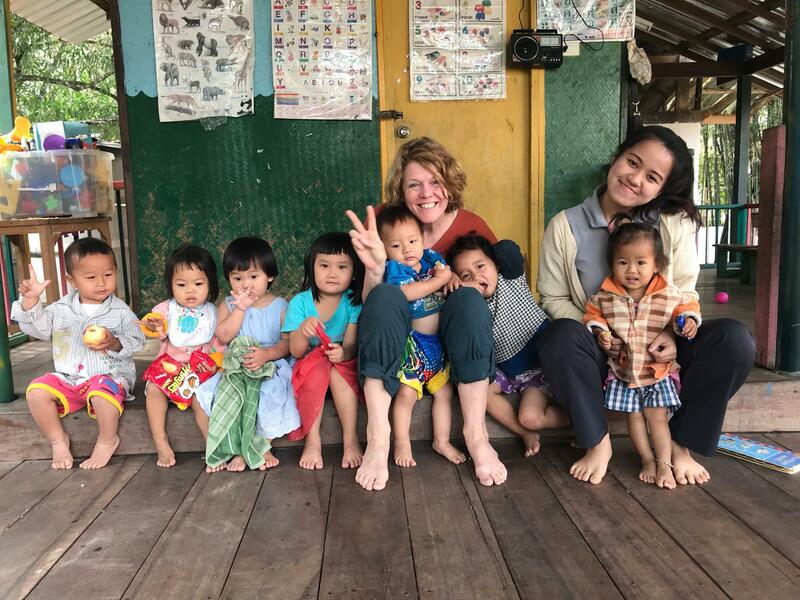 After a three-day orientation on Thai language and culture, I began my service project at the Wildflower Home, a shelter for single women and their children directed by two intrepid and compassionate women, sisters Anurak and Siripon. My mornings were spent minding the children in the daycare and teaching the mothers printmaking and artists’ books in the afternoons. The artists’ books were a hit, as many of the mothers transformed them into baby books and journals, quickly discovering that they could sell them with the many other handcrafts and goods they make. All of this work was accomplished without a shared language between us; I learned a little Thai and they learned a little English. We became friends and laughed together while working. They welcomed me into their lives in ways that I never expected. Dao, a mother who headed the kitchen duties, taught me how to make Khao Soi, the region’s sublime dish of coconut milk, chili, and curry noodles over the wood fire stove in the home’s kitchen. The older children knew me as the art-auntie and would join in on our printmaking projects. As I left work every day, Fa, a young mother who has a beautiful daughter SaiSai, would shout to me: “Good-bye! See you tomorrow!” as I rode from the home on the back of Dao’s motorbike to catch the bus back to Chiang Mai. I am lucky to have been able to maintain an art practice beside my work as a teacher. It has taken effort on my part, but it has been made possible with Berwick’s support and professional development opportunities; 20 years of conferences, workshops, and studio sessions have not only recharged me, they have broadened my perspective and provided me with a rich community of artists and art educators as friends and supporters. My sabbatical has given me the opportunity to push pause in an extended fashion and appreciate the things that are important. I am grateful for this gift, and the adventure is far from over. I am excited to be planning a trip to Thailand over March Break 2019, where I will take students to engage in service projects like mine in Chiang Mai. Closer to home, I was awarded a fellowship to paint on Monhegan Island in July. I dusted off the red backpack and packed up my paints to head to another place I had never been, where I let new experiences wash over me like the waves that wash over the dark grey rocks at the water’s edge. Watch for a future blog post describing Raegan’s fellowship opportunity on Monhegan Island. You are currently browsing the me arts ed blog archives for the day Monday, October 15th, 2018.